Singapore Anglican Community Services (SACS) and St. Andrew’s Mission Hospital (SAMH) hosted a charity dinner this evening. The event was graced by Mr Lawrence Wong, Minister for National Development and Second Minister for Finance as Guest-of-Honour. In his speech, Mr Wong lauded SACS and SAMH for integrating a wide range of services from medical and institutional care (community hospital, nursing homes) to social care and community-based services (senior activity centre, crisis shelter, student care, senior care centres, day rehabilitation centre, psychiatric rehabilitation). St. Andrew’s Autism Centre (SAAC), a service of SAMH, also operates a Special Education School for children and youths with autism, and a Day Activity Centre (DAC) for adults with moderate to severe autism. To cater to the needs of an ageing population, SACS and SAMH are expanding its provision of aged care services for seniors with varying level of care needs. For active seniors, SACS started operating a Senior Activity Centre in Tampines in April this year and will start operating another Senior Activity Centre in Woodlands in August. With the support of SAMH, SACS will start operating an upcoming Ministry of Health’s Build-Own-Lease nursing home at Taman Jurong in the first quarter of 2019. A new nursing home at Dover Avenue, an initiative of St. John’s – St. Margaret’s Church, in collaboration with SAMH, is also expected to be operational in late 2020. In addition, SAAC has been working closely with the Ministry of Social and Family Development to co-develop a Build-Own-Lease disability home that will provide long-term residential for adults with autism. Expected to be completed later this year, the home which will be able to house 200 residents, with the co-located DAC for 50 adults, is expected to open its doors by 2019. 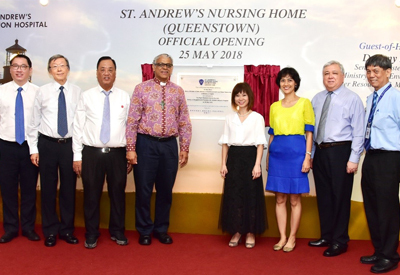 Dr Arthur Chern, Group Chief Executive Officer, SACS and SAMH said, “As an established intermediate and long-term care and community based service provider, we aim to develop and share our expertise and experiences to benefit more people in need. SACS and SAMH presently serve over 20,000 people through its integrated social and health services. This is made possible with the support from private donors and partner organisations. This year, we have raised over $900,000 from the SACS-SAMH Charity Dinner. 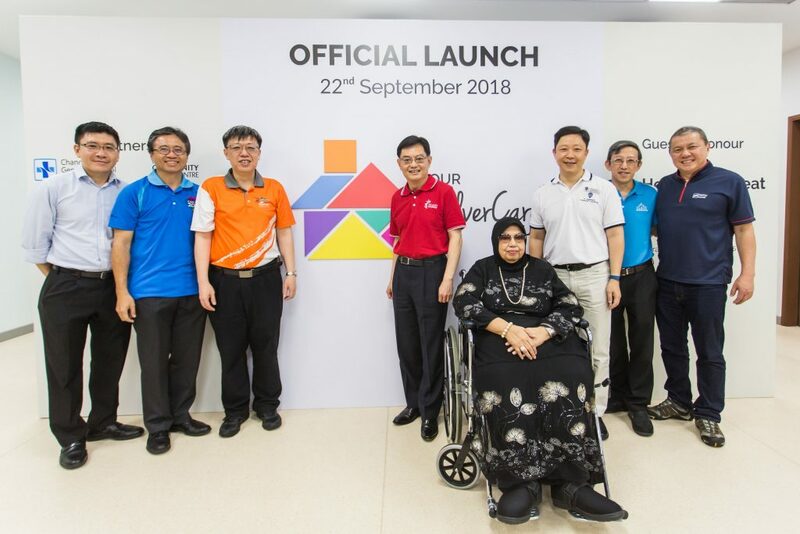 The money raised will be used to fund the growing community outreach programmes and a range of community services under SACS and SAMH with special focus on our two forthcoming new services: St. Andrew’s Adult Home for people with autism, and St. Andrew’s Nursing Home (Taman Jurong). The origins of Singapore Anglican Community Services (SACS) date back to the 1950s with the setting up of a clinic by Mrs. Eng Neo Thomas, a nurse and the wife of the Principal of St. Andrew’s School. The clinic was to serve villagers living in the Potong Pasir area. In the 1960s, student counselling services were introduced, with the first office located at St. Margaret’s Primary School. 1967 saw the launch of Singapore Anglican Welfare Council (SAWC) to meet the needs of the elderly, the lonely, the sick and the poor. Services under SAWC included the Wilkie Road Children’s Home, drug rehabilitation centres and the Christian Outreach to the Handicapped. The 80s saw the development of Psychiatric Rehabilitation Services, which became SAWC’s anchor service. In 2006, SAWC was restructured and renamed SACS. Out of passion to care for the physical, emotional and social well-being of the community, the St. Andrew’s Medical Mission was founded in 1913 by Dr. Charlotte Ferguson-Davie, the wife of the first Anglican Bishop of Singapore who was also a medical doctor herself. Seeing the plight of the local women and children of that time and the lack of medical services for them, Dr. Ferguson-Davie set up a dispensary along Bencoolen Street for the destitute women and children. The Medical Mission continued to meet the locals’ needs and thus led to the opening of more dispensaries and eventually, St. Andrew’s Mission Hospital in 1923 and St. Andrew’s Orthopaedic Hospital in 1939. 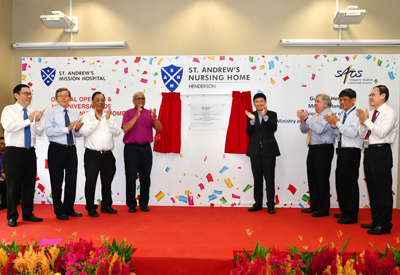 Andrew’s Senior Care (JOY Connect) and St. Andrew’s Senior Care (Tampines) – provides daycare, community rehabilitation, dementia daycare, centre-based nursing, integrated homecare services (medical, nursing, therapy) and community case management services.